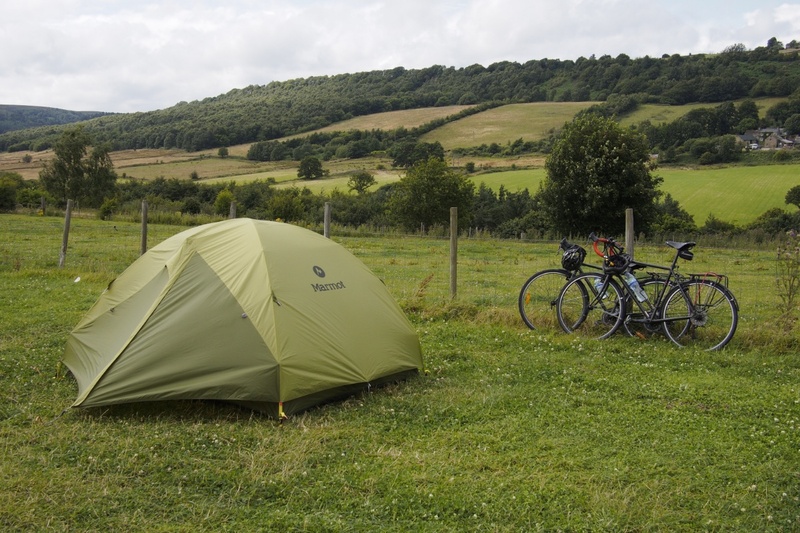 The Marmot Tungsten 3 Person is a sturdy and spacious 3-season tent, yet light enough for bike touring and that sweet harmonious balance of weight vs. livability. When your tent becomes your home nothing is better than knowing that you will be warm, your belongings dry and a comfortable night’s sleep is at the ready. 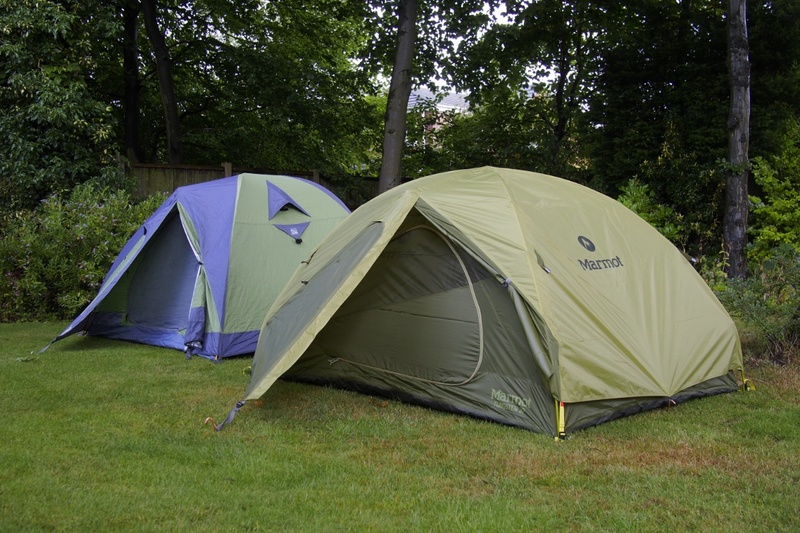 After spending quite a few hours researching and reading reviews we decided on the Marmot Tungsten 3 Person for its balance of price to features. The MSR Elixir and MSR Mutha Hubba were also in the running however American tents became out of our price range due to the poor Aussie dollar. Now the Tungsten is still not a cheap tent, our old tent, the Companion Pro Hiker 3 Person, was around the $250 mark and the Tungsten cost closer to $400. So if it’s almost twice the cost is it twice as good? For most camping trips a lot of the cheaper tents will still hold their own (we had ours for five years and it only died now), however it’s the little details make a huge difference bike touring especially when your two main thoughts are minimising weight on a bike and setting/packing up camp almost every day. The Tungsten weighs in at 2.88kgs and is rectangular and squat, as you can see by our side by side comparison. The squat shape actually maximises the footprint and head space so you can sit cross-legged right to the corners of the tent. 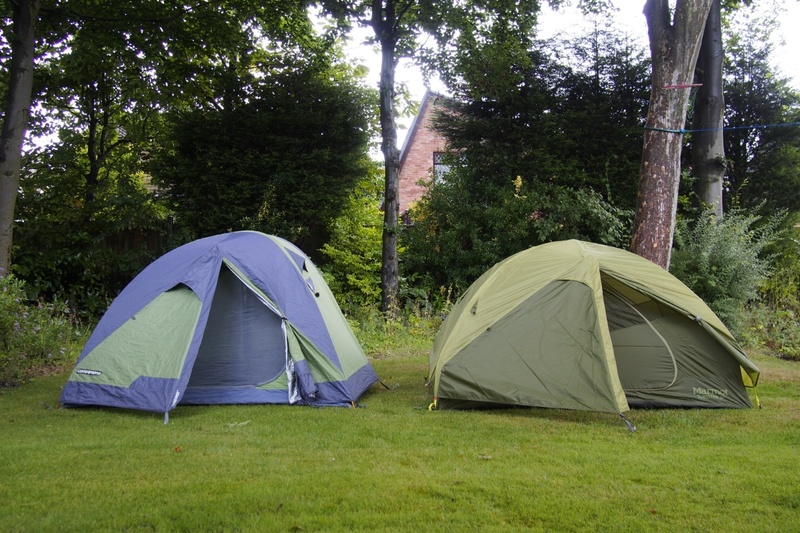 Choosing a 3 Person tent means we can fit the two of us and all of our panniers comfortably. I am 6’1 and I can sleep legs straight out without fear of putting my foot through the wall. The Tungsten fits the natural colour criteria to allow for more discreet wild camping, blending well into the background with the trees and grass. The downside of having an ‘invisible’ tent is the quite real risk of an elderly motorhome driver backing over us in a campground. Campgrounds usually have separate fields for tents and motorhomes but it will be something we’ll have to keep in mind! As we mentioned before it’s the smaller things that make a big difference. 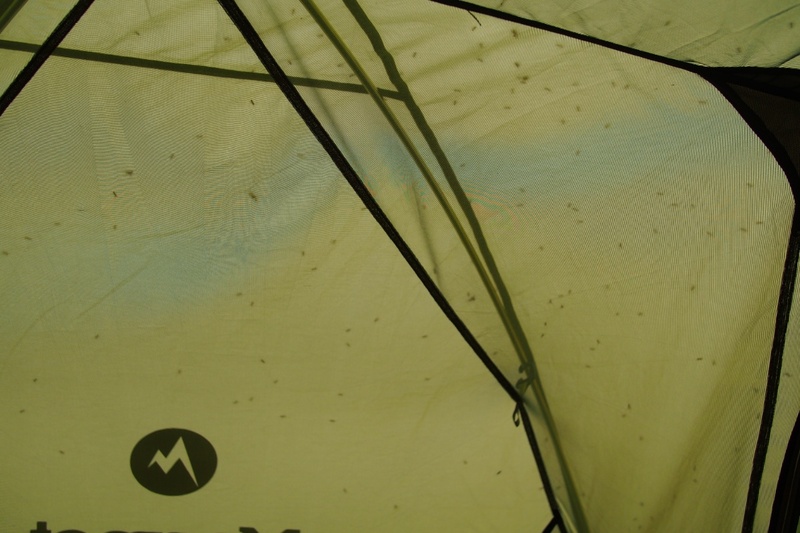 The inner mesh is on a diagonal to allow for more privacy and shade when the fly sheet is off and you’re lying down. 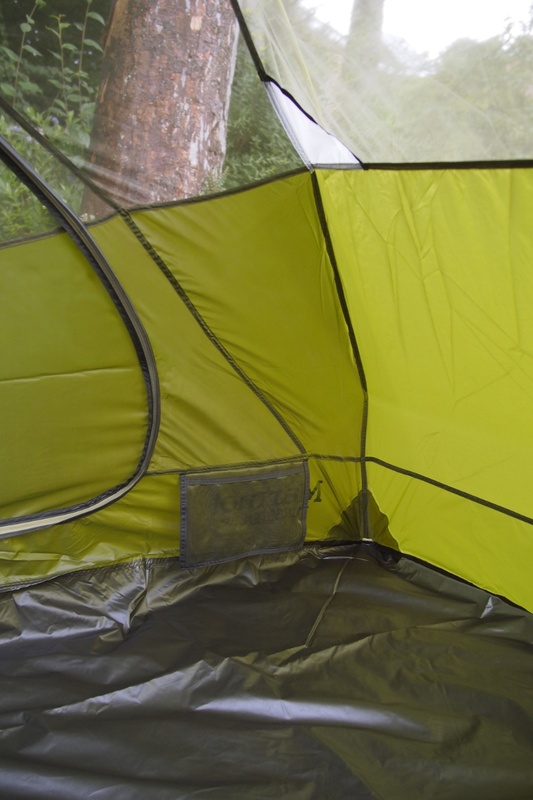 The front and rear awnings are double zipped which makes it far easier to open and close the tent. Attaching the fly sheet is easy with the corners more streamlined with easy clips and elastic peg rings. Two smaller lamp shade pockets are designed to hold your lamp/headtorch and diffuse light around the whole tent. These work exceptionally well, leaving you hands free and not bumping into a swinging torch on a middle ceiling hook. The poles which are bent outwards at the bottom which supports the sides to allow for much more usable floor space. One gripe would be the four inner mesh pockets are smaller than we would like, our tablets barely fit in them leaving not much room for anything else. The main poles are joined together and simple hooks clip the tent to the poles, setting up camp is really quick. The poles however are a little too long to be packed into our rear panniers so we have to strap the pole bag on the back of Suyin’s bike. It’s not the worst but it is slightly annoying. To help extend our tent’s lifespan we have also purchased the additional Marmot Tungsten 3P footprint, which is sized specifically to the tent. Although our tent has a protective floor having a separate one helps protect the bottom from sharp stones and moisture. As it’s very light it doesn’t add much weight at all, we’ll be stuffing this into our tent bag along with the tent. Testing is still in early stages, rain has actually been minimal but we can confirm that the tent is bug proof. It withstood a Category 3 Flying Ant Attack for over two hours without damage. It’s the only way when you’re in an empty field! 😂 cheeeeese! Just got mine. Says it comes with a footprint, but is it the same one as you can buy for $40 or just a cheap one? Not sure to be honest, we did not have the footprint included in our purchase. I would asume yours would be the official Marmot one as I spotted a few american retailers having it as an included bonus. 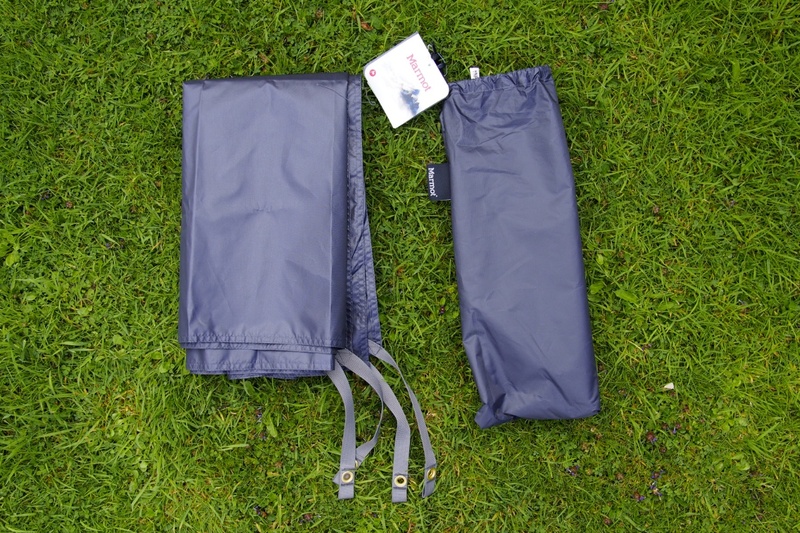 It is fantastic as it’s lightweight, packs down until a tiny bundle and is nicely held in place with the tent poles. Best of luck with the purchase! Thanks Alex, we haven’t tried it that way. 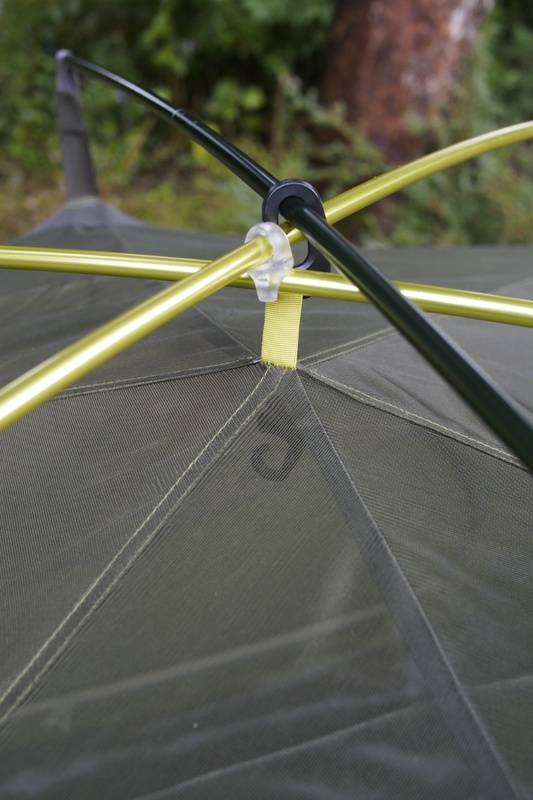 To do so you would need a separate groundsheet with the four corner eyelets to hold the poles into formation. Then tie the top cover over and secure with pegs. Using the extra groundsheet/top cover as a canopy by tying it to trees could work. But usually a beach has mosquitoes/sand flies so I’m happy for the extra protection 🙂 We just keep the two exterior doors well tied back the whole time!